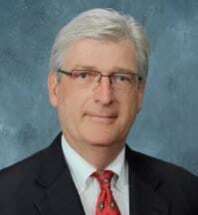 Robert B. Fitzgerald is a Martindale-Hubbell AV rated attorney with over 30 years of legal experience. Bob practiced law in Mansfield, Ohio for approximately three years before joining the firm that became Baran, Piper, Tarkowsky & Fitzgerald in 1985. He is an extremely skilled litigator and an asset to our firm clients. He concentrates his practice on insurance defense and practices in that field throughout the State of Ohio. Bob is very active in the Lima community and is a member of various downtown boards and civic organizations.